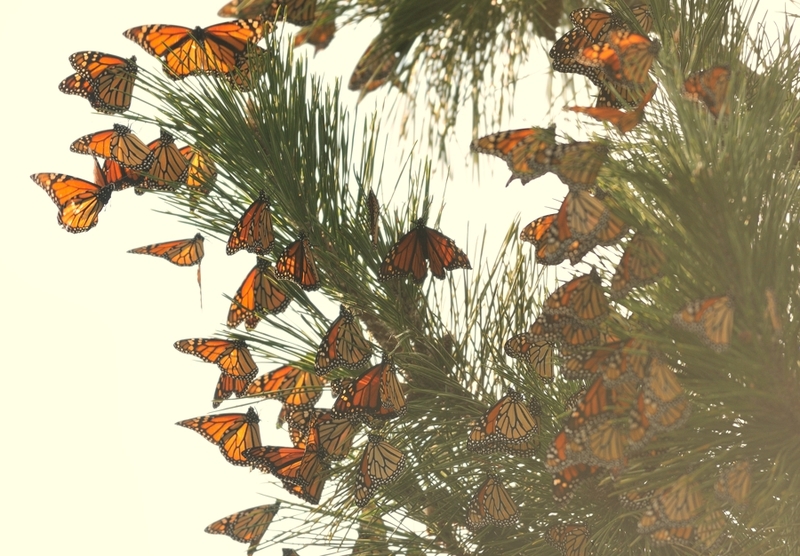 On a recent visit to Cape May in New Jersey last September, we were treated to a very large and spectacular movement of Monarch butterflies. On our first day on the 27th September, weather conditions were ideal with northwest breezes and high cloud. We lost count of thousands of butterflies all moving steadily south. By late afternoon, when the day cools down, many hundreds can be found roosting in the pine trees along the beach. The following morning will see them all disappear as they make their way south across Delaware Bay. The image above, shows part of approx 1800 roosting together. In another pine tree nearby, there was an estimated 3000 together. It's quite an experience to watch as new arrivals pitch in, creating a brief flurry of orange as they jostle for position. I've always been fascinated with the TV documentaries on Monarchs in Mexico but never thought I would witness the species in such numbers in New Jersey! 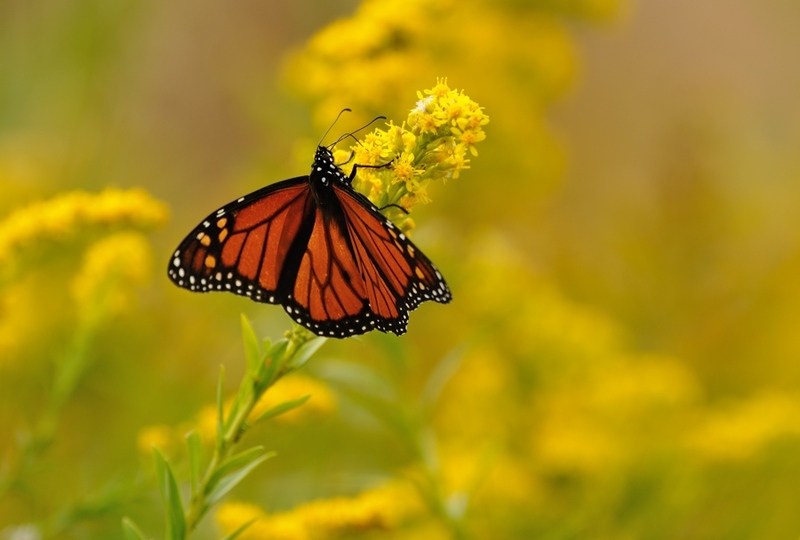 Monarch nectaring from a Seaside Goldenrod plant. 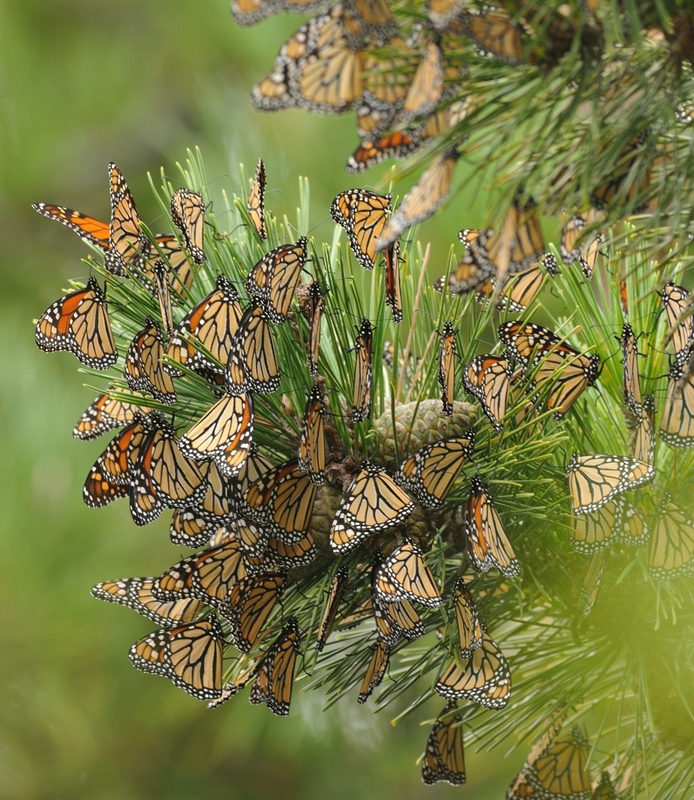 The movement of Monarch's in Cape May starts in early September. By mid October, the majority have moved south towards Mexico though stragglers can still be found in early November. By mid November, the vast majority will have arrived in Mexico. Intense monitoring has been undertaken in Cape May since the early 1990's and I witnessed first hand the tagging process. 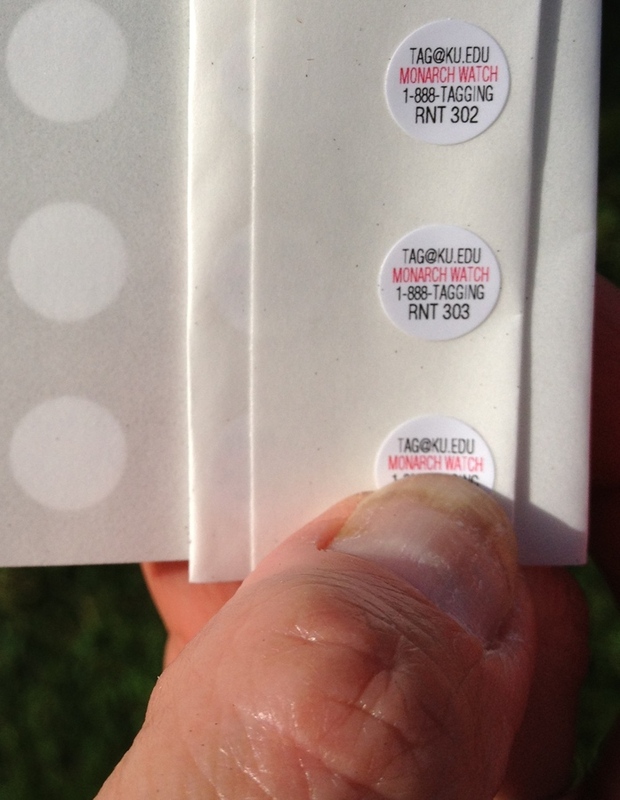 The stickers below are used to monitor migration movements. Of the several thousand tagged, only a couple handfuls are recovered though. Miniture, unique tagging stickers, are applied to the lower underwing. A wingtagged Monarch roosting in a pine tree. 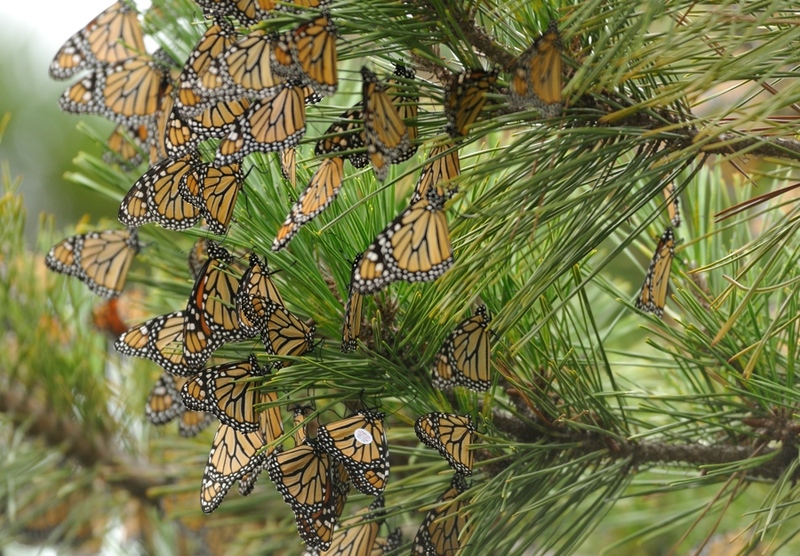 A small section of roosting Monarchs. Autumn 2012 will be remembered as one of the better years in Cape May. Whilst I have nothing to compare my own experience with, it was certainly one of the highlights of the trip.